Today, consumers create a customer account on an e-shop when they are about to place an order. And they usually only buy something if they know exactly how much they are going to pay. Sellers lose customers because of surprise shipping costs. 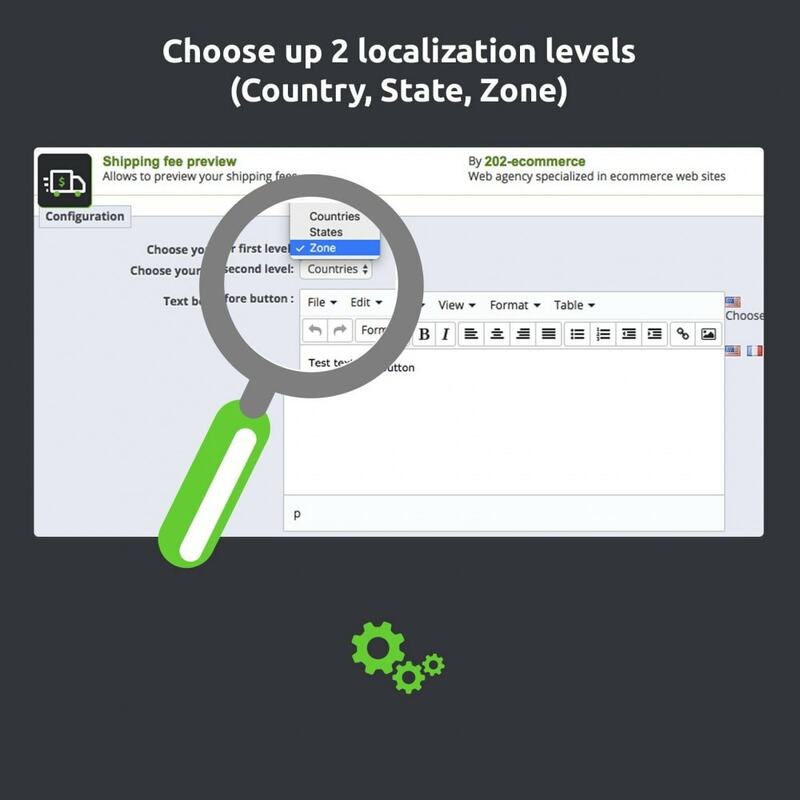 Offer your customers the option to estimate shipping price before account creation. 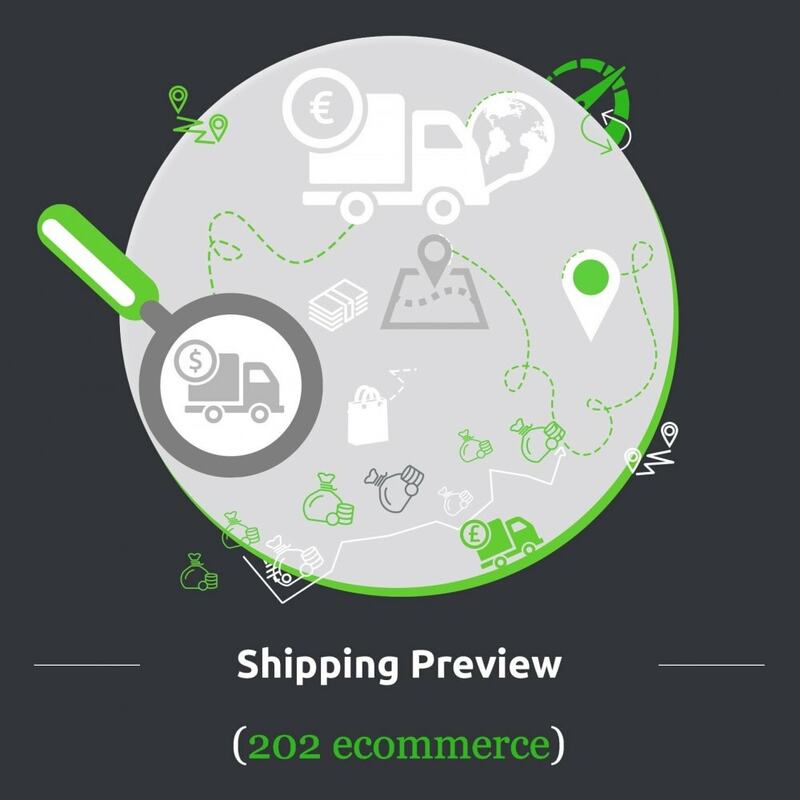 “Shipping Preview" Module allows you to reassure your customers. 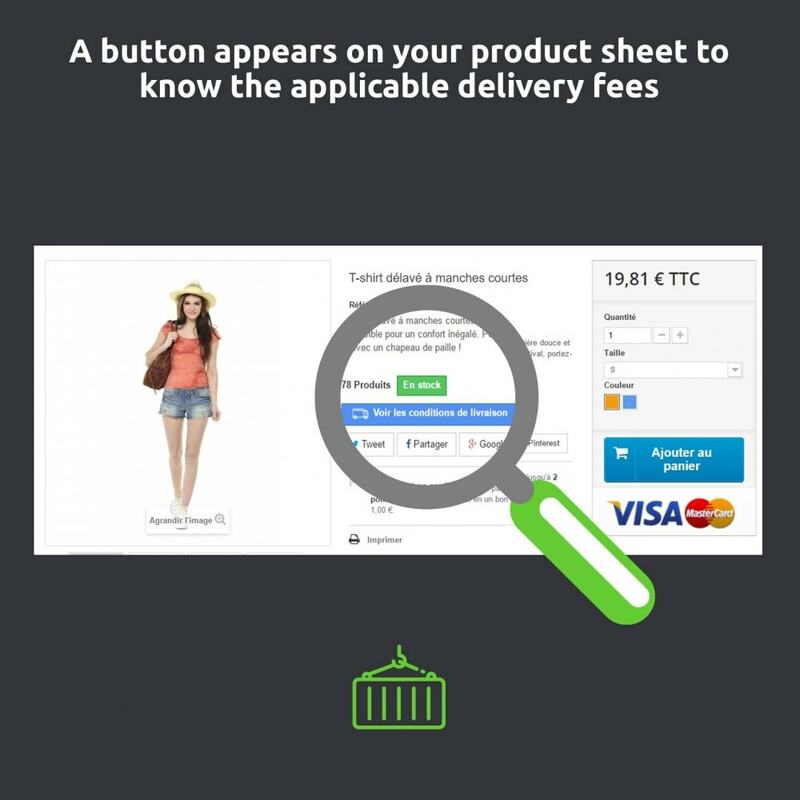 This information is important when you sell products with complicated packaging and for which shipping cost is one of the essential points to sale. 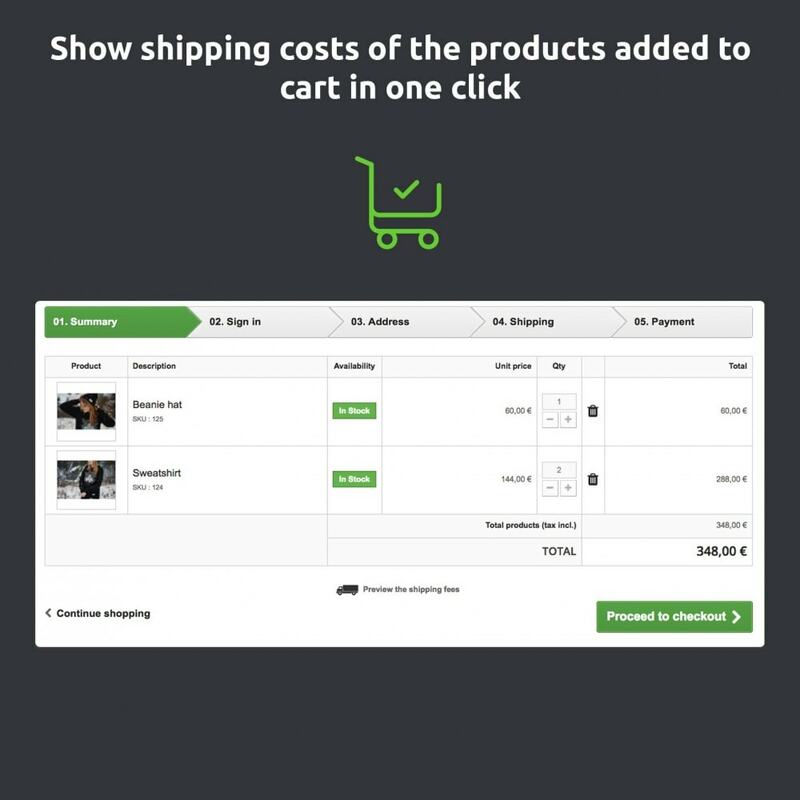 On each product page and checkout cart, a link allows you to open a pop-in wherein your customer should choose their delivery location. When selection is complete, a table opens with all information about deliveries and pricing. ccording to your configuration in the PrestaShop back-office, as it is in checkout after customer authentication. The price is based on the configuration of price or weight ranges, handling charges or free shipping option. Fill two fields that will enhance your pop-in with a picture, or text (The two fields will appear before and after the selection of delivery). NEW : Customers can now select two fields when estimating, a zone AND a country. We are a web agency specialized in e-commerce web sites, and adapting web technologies for online sales. Composed of passionate web professionals in online sales, we are working alongside e-businessmen enlivened by the same wish to always sell more. It’s hard to know the shipping cost without going through the check-out process in most e-shops. 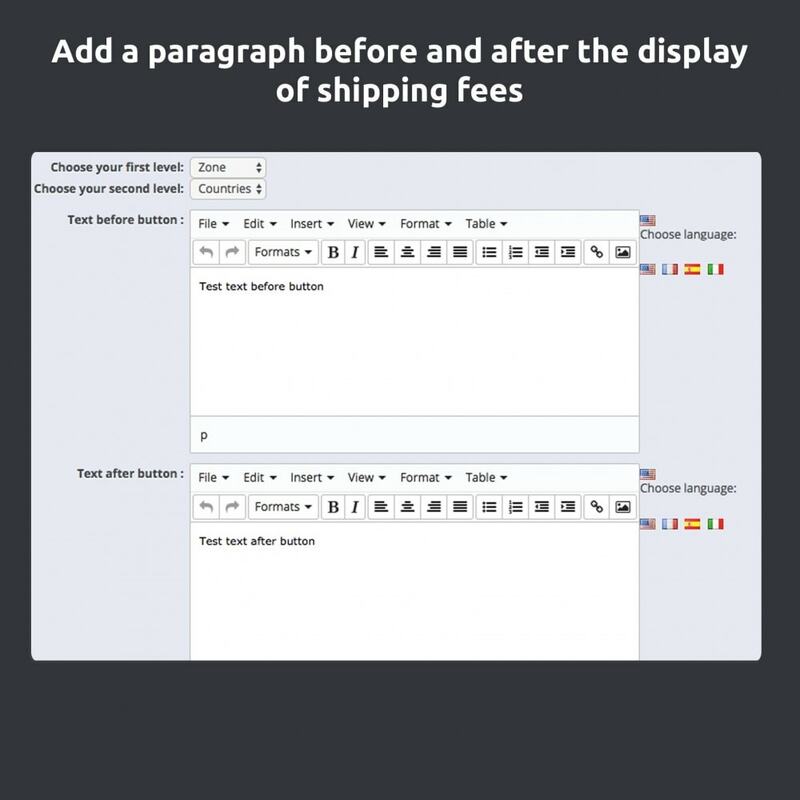 The price changes in function of the shipping area. 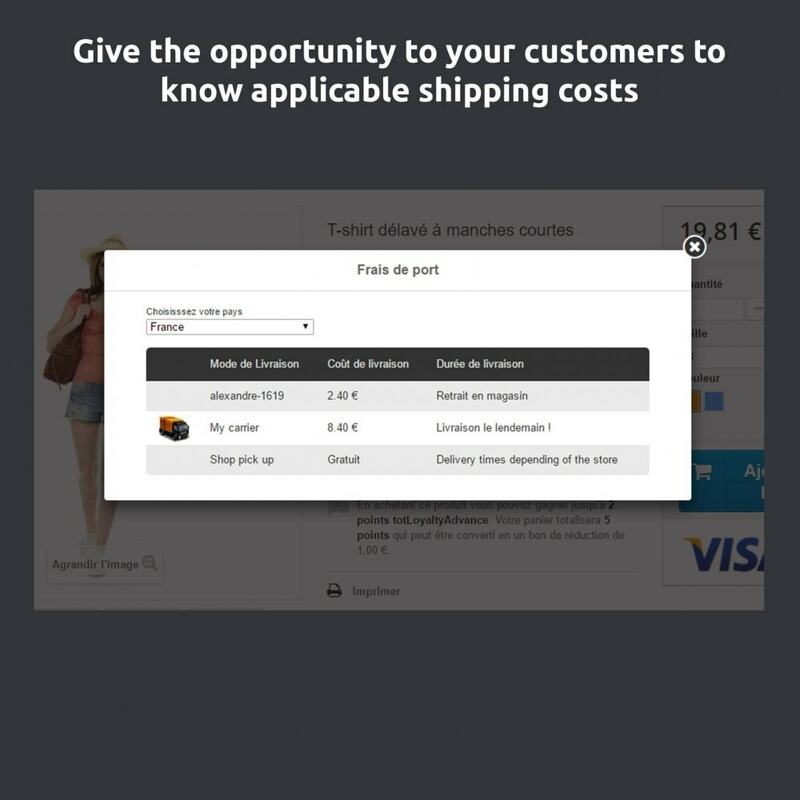 If you sell all over the world, the shipping cost is a crucial point in the sale of your products and your customers will be delighted to know the shipping cost without having to create an account. 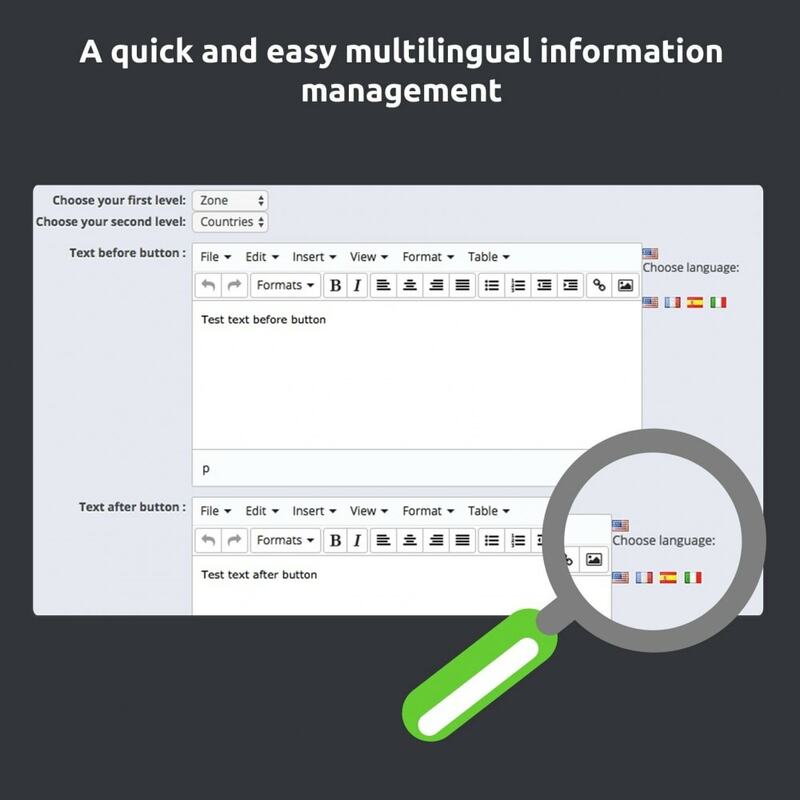 Warning: this module is not compatible with Envoimoinscher and other modules that do not use the standard PrestaShop Table. Installation guide is included with purchase of the module.